Combat system integration is used to integrate different elements and sub-systems such as sensors, electronic systems, etc. to support military communications and operational functionalities. Global combat system integration market is expected to rise with CAGR of about 34.5% during forecast period 2017-2024. Increasing incidences of armed conflicts and terror attacks is one of the major factor that contributes towards the growth of global combat system integration market during forecast period. However, declining defense budget of some economies is one of the major factor restraining the growth of global combat system integration market during forecast period. Geographically, global combat system integration market report has been segmented in North America, Asia Pacific, Europe and Rest of World. Europe is expected to dominate the market during forecast period due to rising research & development activities for development of advanced combat systems, presence of majority of market players across the region, etc. However, Asia Pacific is expected to be the fastest growing region in global combat system integration market during forecast period owing increasing defense spending across countries of Asia Pacific, technological advancements and innovations, etc. 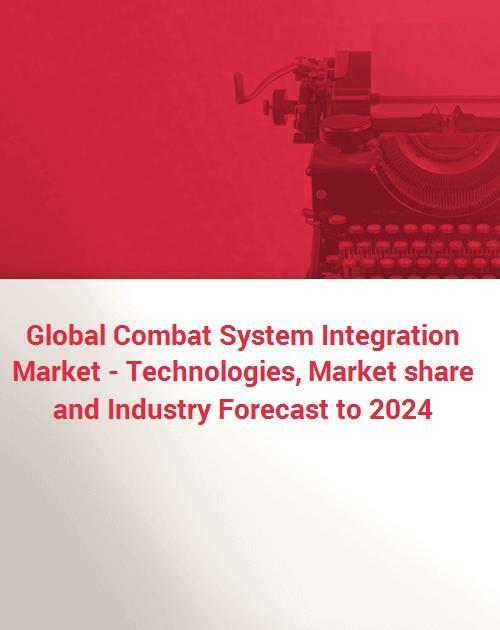 Growth in global combat system integration market is also influenced by presence of major players such as Harris Corporation (United States), Lockheed Martin Corporation (United States), Raytheon Company (United States), Saab AB (Sweden), Thales Group (France), etc. to gain competitive advantage, major players of global combat system integration market are adopting various strategies such as mergers & acquisitions, product launch, strategic partnership, collaboration, joint ventures, investment, strategic expansion, funding etc. during forecast period. The report on global combat system integration market is segmented on the basis of platform and applications. Platform is sub segmented as armored vehicles/artillery, combat helicopters, fighter aircraft, large combat ships, medium combat ships (amphibious ships, cruisers, destroyers and frigates), small combat ships (corvette, fast attack boats and offshore patrol vessel) and submarines (conventional and nuclear). Further, applications of combat system integration are divided as airborne, land based and naval (surface and underwater). Submarine (in platform segment) is expected to dominate the market during forecast period due to increasing demand of submarines by military forces for patrolling, tracking, surveillance, etc. However, naval application is expected to be the fastest growing segment during forecast period due to factors such as increasing procurement of new military equipment, etc.